Hello and welcome to the Premier League transfer news and roundup for the day! Here are the top stories of the day surrounding the Premiership. Former Chelsea star Scott Minto believes that Manchester United should not sell Paul Pogba even if he wants to leave. While he thinks that the Frenchman might want to go to Real Madrid, the Red Devils have the power to keep him. He added that the Frenchman should be kept for another season now that Jose Mourinho isn’t at the club. 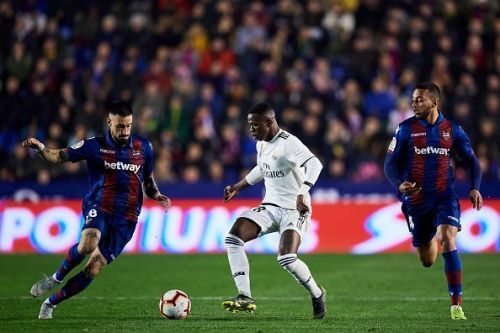 As a result, they could judge him on his performances next season and should he still not impress, they could then look for other options after selling him to Real Madrid. “Does he want to go there [to Real Madrid]? Maybe. But Manchester United have it in their power to say, ‘I’m sorry, you’re not going anywhere.’ And I think they should. Minto thinks that Pogba had a negative influence at the club when Jose Mourinho was there but now that the Portuguese is not there, the Frenchman could try to fulfil his potential.